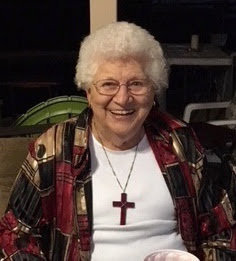 We recently lost Honorary Member Dorrie Larson. Her husband Lloyd was also a wonderful person. Dorrie would come with her daughter Debbie, a Rotarian to our annual Banquet and support our Club. Sign up for our April 28 Race. Proceeds go to community projects. WE'VE ADDED A 10K TO OUR RACE DAY EVENTS for those who want to run further. And we have a Yeti cooler for raffle. Want tickets? $5 each or 5 for $20. Message Pat Northey. 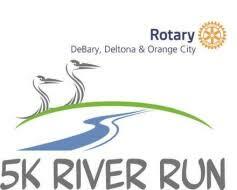 The Rotary River Run Race/Walk is on Sunday, April 28. President Bill wanted me to remind you to bring a friend to our club breakfast meeting. If you are not a club member, contact a club member and you will be invited to join us for breakfast. Come to breakfast. I will be there. 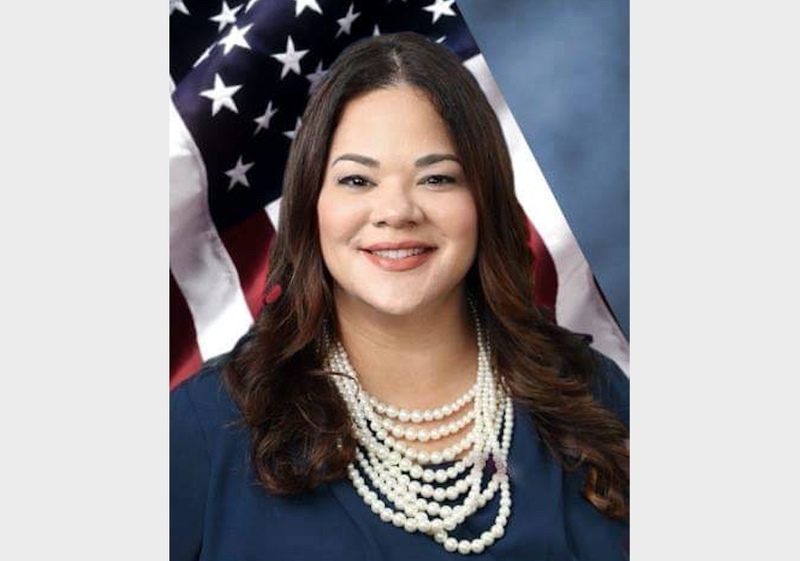 We support Erika for State Representative, District 27. Topic: "Women in the U.S. Navy." Captain Mary McLendon is a native of Savannah, GA and an NROTC graduate of the University of Georgia at Armstrong with a degree in Mathematics & Computer Science. She earned her commission in 1978 and served in the fields of Command, Control & Communications and Network Warfare, including major command billets in Hawaii, Japan, and the Communications Security Material Command in Washington, DC. Captain McLendon earned her Master of Science Degree in Command, Control & Communications from the Naval Postgraduate School in 1983. She served as the Executive Officer of the former Naval Station New York, New York and completed tours of duty with the NATO staff in London, England and both US Space Command in Colorado Springs, CO and Naval Space Command in Dahlgren, Virginia. In 2008, Captain McLendon completed 30 years of service with NORAD / US Northern Command in Colorado Springs. Captain McLendon was awarded several personal decorations during her career, including the Defense Superior Service Medal and Legion of Merit. 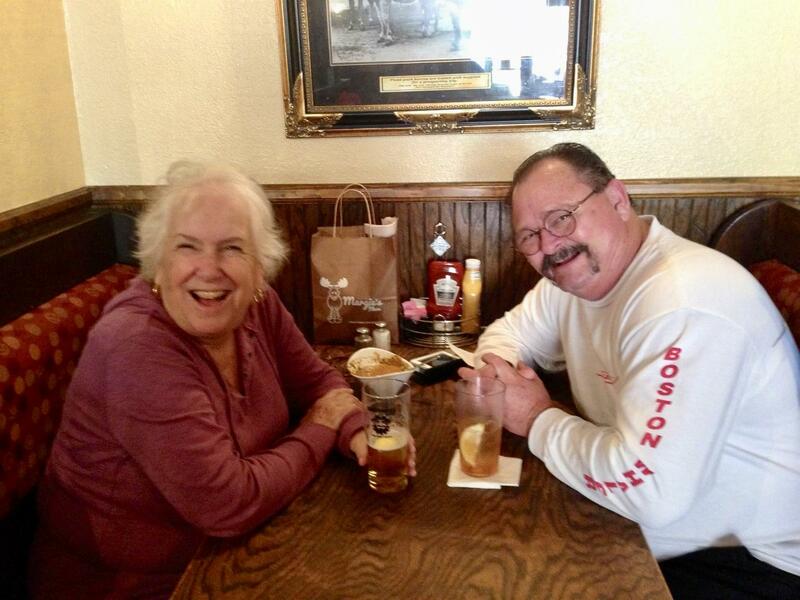 Captain McLendon and her husband, Bill Waters, also a 29-year Navy veteran, now live in New Smyrna Beach, Florida. With Captain McLendon is Eli Schaperow and Club President Bill Wright. What a terrific presentation by Captain Mary McLendon (retired) on Women in the Navy. It’s Women’s History month and Mary and her colleagues have made some of their own serving our country. Thank you Captain for your service and sharing your story. On Tuesday, 7:30 A.M., March 12 the club meeting was at Certus of Orange City. CERTUS at Orange City is a dedicated memory care assisted living community that provides meaning and purpose for our residents in order to create successful moments throughout their day. For engagement we utilize a program called “SPIN”, which stands for Social, Physical, Intellectual, and Nutritional Wellness. Using this model through any person’s daily routine promotes optimal brain health. CERTUS is built off a research based design which means details such as the pictures on the wall all the way to the colors utilized in our community have a purpose. At CERTUS at Orange City we truly provide care for the whole person and not just the diagnoses as well as creating an environment Where Every Moment Matters. 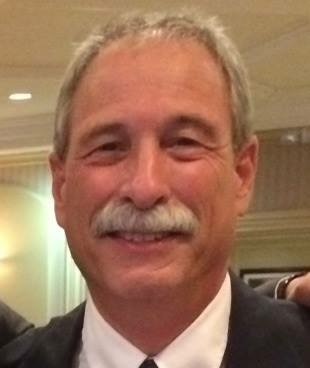 Morris Sullivan is the Budist Chaplain at Stetson College. 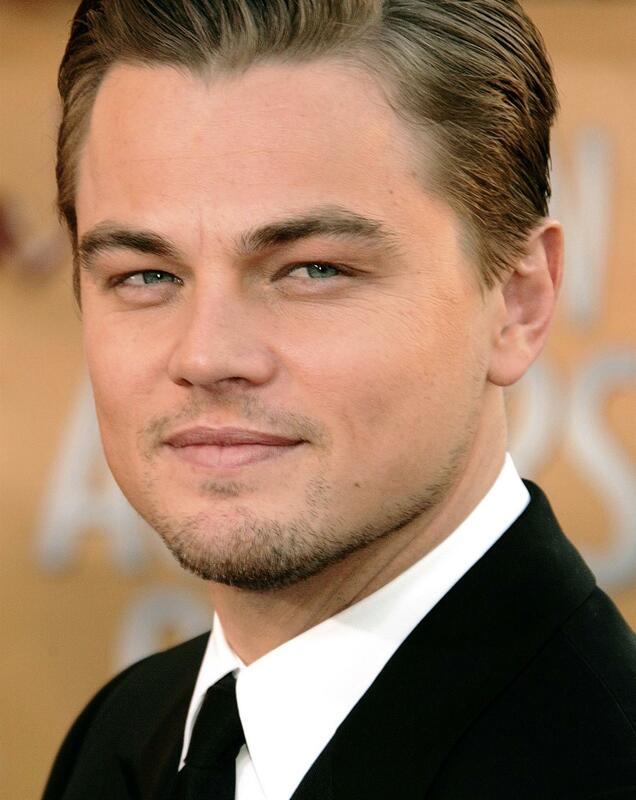 He was introduced by Eli Schaperow. President-Elect Training, Time to get ready for July 1st. From March 7-9 Erika attended PETS (President-Elect Training) at the Double Tree by Hilton Hotel at Sea World. Are you passionate about eradicating polio? Check out this guy! At 75 years old, Anil Garg of Simi Valley has led nearly 20 trips and more than 300 polio vaccinators to India as part of Rotary International's quest to eradicate the disease. Anil is member of the Simi Valley Noontime Rotary Club. By the way this club uses ClubRunner to manage their website, just like us. 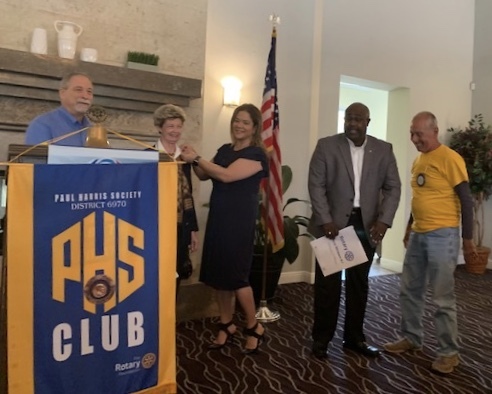 Past District Governor Don Kanfer inducts new members Jean Voetberg and Kitwana McTyer into our Club. Don Kanfer, Jean Voetberg and her Sponsor Erika Benfield, Kitwana McTyer and his Sponsor Eli Schaperow are seen in the pictures below. Erika Benfield attended a meeting of the West Volusia Regional Chamber of Commerce. There was a presentation by the Deputy Assistant Secretary for Governmental Affairs of the U.S. Department of Transportation. Local municipalities and the State needs to contribute to get matching federal funds for transportation infrastructure. Celebrating leadership and economic development success within the Hispanic business community Hispanic Chamber of Commerce Metro Orlando. Rosen Shingle Creek - March 1, 2019. Seen below are Debbie Wright, Margret and Klaus Diegritz, Pat Northey, Pam Rutherford, Eli Schaperow, and Trinity Christian Academy Interact Members. 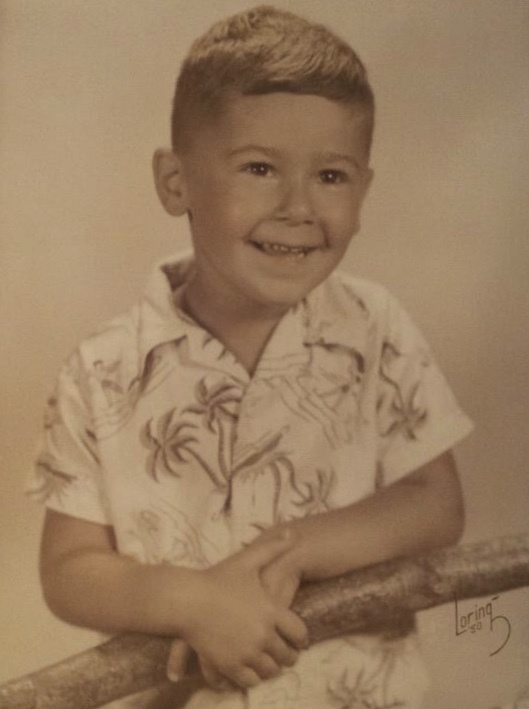 What is the Florida United Methodist Children's Home? 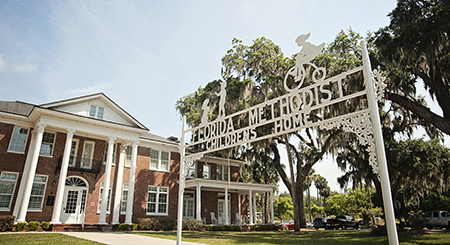 The Florida United Methodist Children’s Home was established in 1908 to provide a home for orphans and other children that had nowhere else to live. Today it serves as a diverse ministry with two campuses that include residential, therapeutic group, foster and emergency shelter care. The Home also provides independent living assistance and a community child care center. Everyone in our care is safe and loved and treated as a unique and special creation of God. Our Club is a Paul Harris Society Club. It’s all about Service Above Self. The President of Rotary International with our Club Leaders! 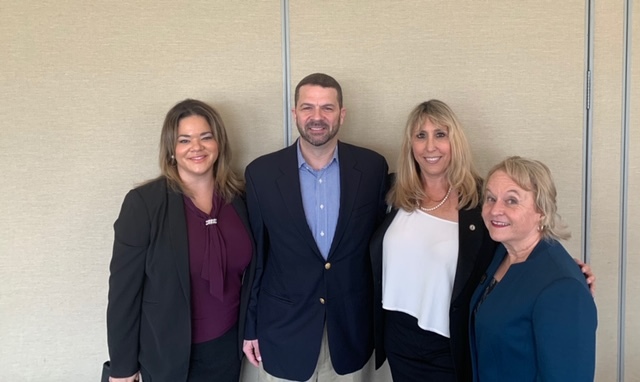 On FEBRUARY 15, 2019 you had lunch with RI President Barry Rassin. 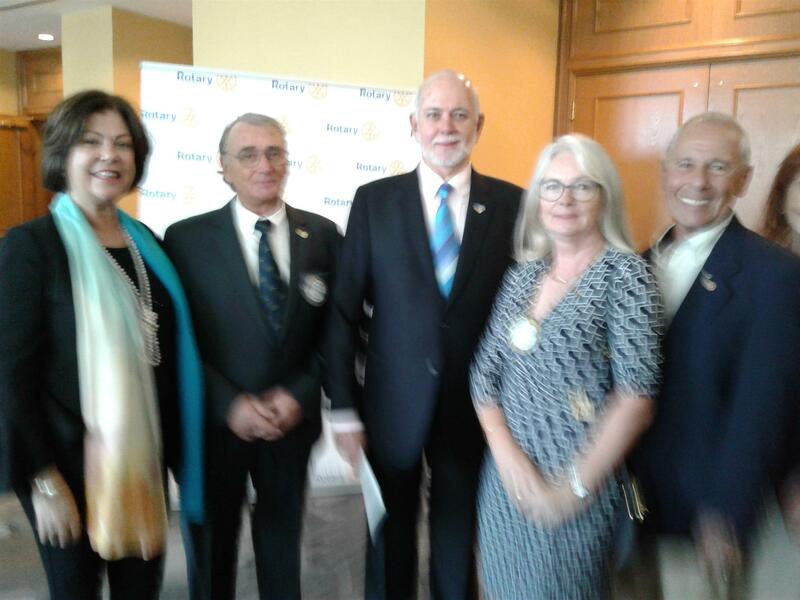 Rotary International President Barry Rassin came to District 6970 in St. Augustine to celebrate your generosity. Paul Harris Fellow Challenge - Day of 1,000 Paul Harris Fellows. To show our appreciation to President Barry and all the good that The Rotary Foundation does in the world, your District Foundation Team is challenging each of you to increase your Foundation giving so we can do even MORE GOOD IN THE WORLD! 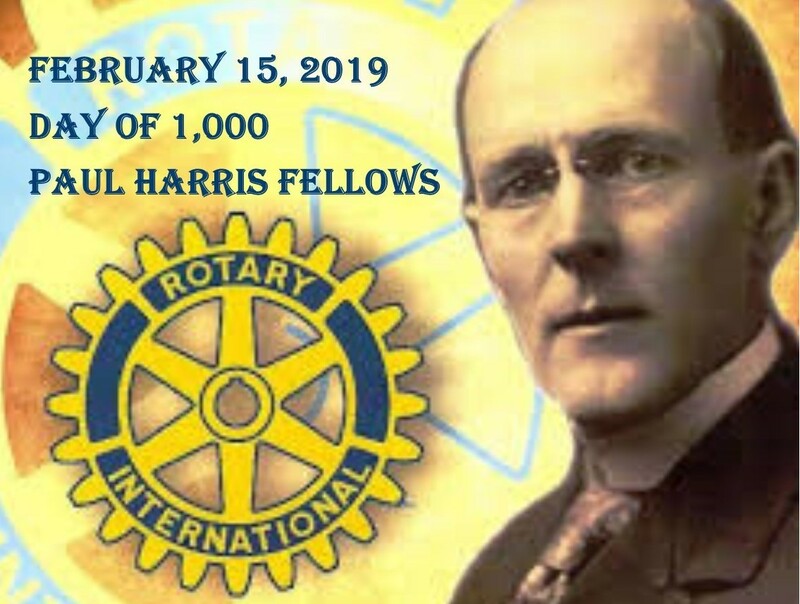 If you are not already a Paul Harris Fellow, talk to your Club Foundation Chair, President or Assistant Governor about how to become one. 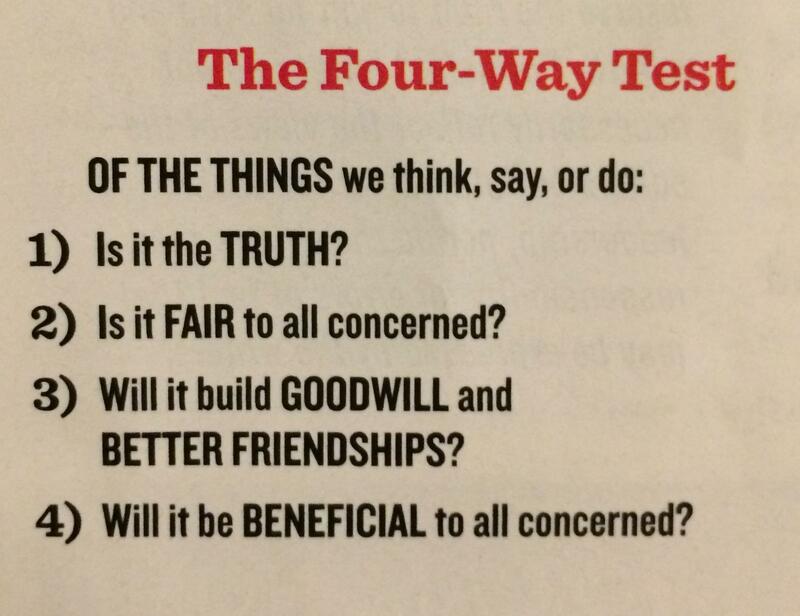 If you are already a PHF, let's move up to that next level of giving, and/or become a member of the Bequest Society. Let's get creative and work together to make this happen! 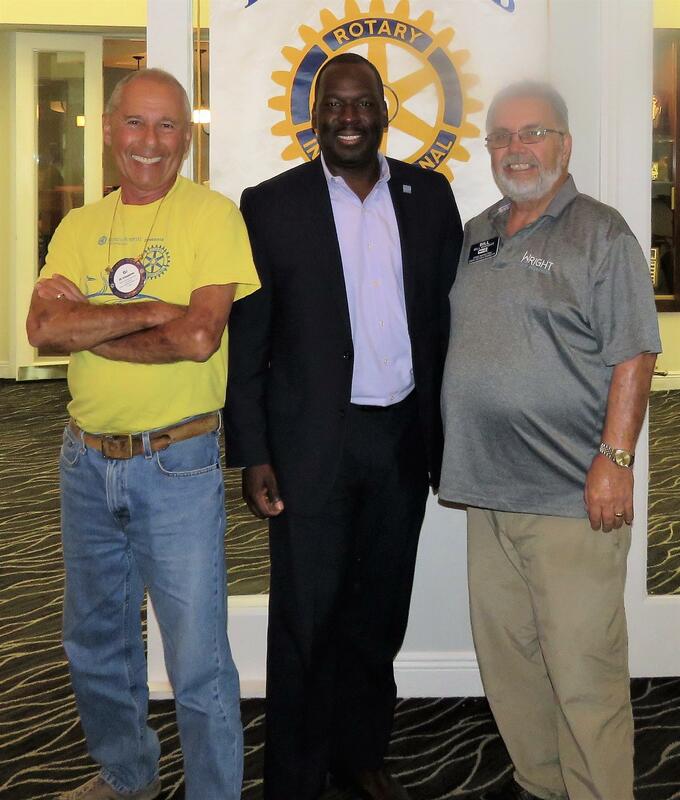 How awesome would it be to recognize 1,000 Rotarians form around our great District during President Barry's visit in February? We CAN do it! 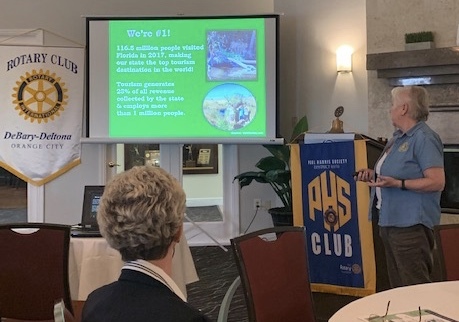 Great start to the day seeing Shari Simmans playing hooky from West Volusia Regional Chamber of Commerce to share the good word of how the Chamber is supporting economic development to help our local businesses thrive. Shari was former Chief of Staff for the former Governor of Virginia. Thank you everyone for the opportunity to speak at your club and to Eli for inviting me. I hope I was able to share information that was interesting and fun. We truly appreciate your consideration of moving your meeting to a different day so as to not to conflict with our regular Tuesday meeting. Typically, we have anywhere from 60 to nearly 100 people at our meeting so I am confident collaborating together will be a benefit to both our organizations. 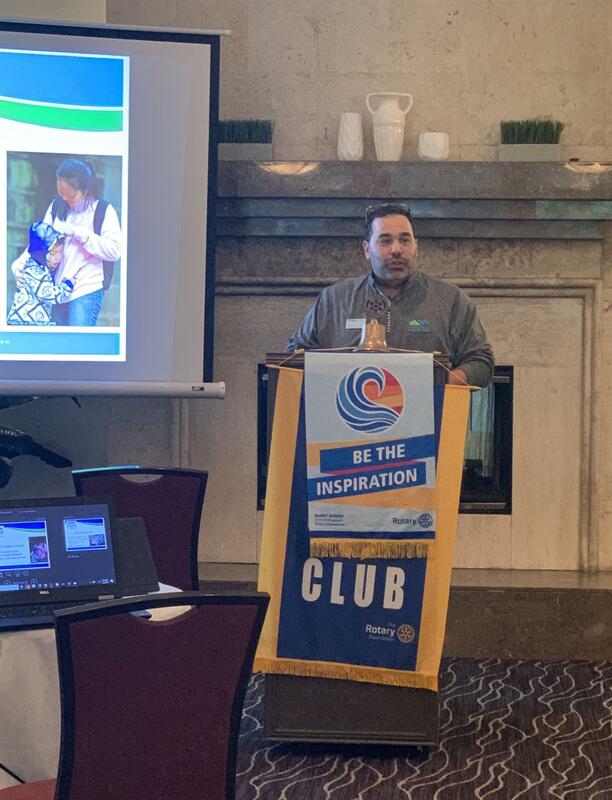 Coming from a very service oriented community, I am well aware of the commitment and dedication of Rotarians in a community, and how much a Rotary club adds to the quality of life to everyone in that community. It was truly wonderful to hear all the amazing things your group undertakes to make West Volusia a terrific to live. Thank you again and I look forward to see you all soon! Our Club contribution to Daytona State College for student scholarships was made today. Proceeds from our annual Hops & Vine funded this contribution. Thank you President Labasso for joining us. 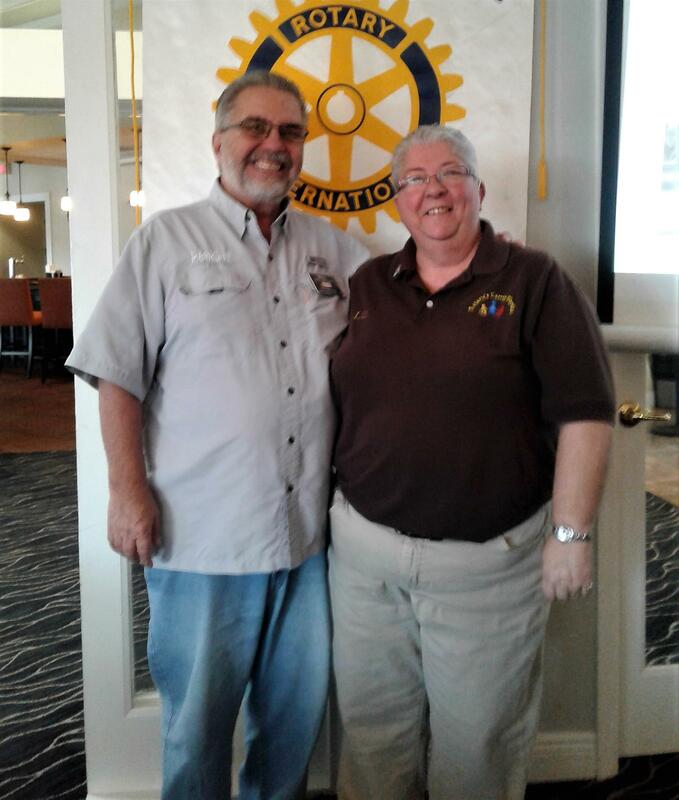 Executive Director Liz Fields gave a very informative presentation on Rotary Camp Florida. Listening to the inspirational story of Linda Ryan, founder of the DeLand MeStrong 5K. It’s official: I have filed to run for State House District 27 continuing to serve as DeBary Vice Mayor through Election Day 2020! I want to pay it forward to honor the memory of my pow grandfather and continue to thank our veterans while serving our state of Florida to make it the best place to live, work, play, and retire! Deltona Is Now A Trail Town! This just in ... the City of Deltona has just been named a Trail Town by the Office of Greenways and Trails! 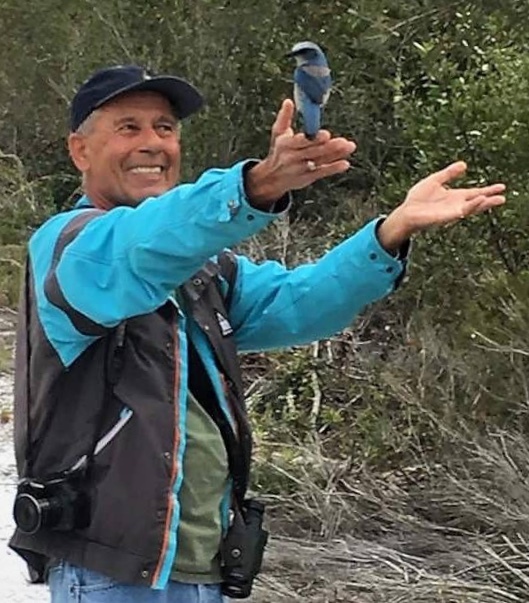 Congratulations to Jerry Mayes and the Deltona Trail Team! Pat Northey explains why Deltona is a great Trail Town on the St. Johns River to St Johns River-to-Sea Loop Alliance. A great day at Silver Spring State Park as the Florida Greenways and Trails Council voted to designate 4 new Florida Trail Towns - 2 on the Loop! Deltona and Palatka were both awarded the designation - this makes 3 Trail Towns on the Loop now with Titusville, and DeBary and Enterprise are in process. The Deltona Lakeshore Trailhead was also awarded state Trailhead status. You'll be hearing more on this when the trailhead takes shape according to Jerry Mayes' plans. The Deltona team: Jerry, Lee Lopez, Pat Northey, Maggie Ardito, Georgia Turner, Herb Hiller. The Palatka team: Kraig McLane, Sam Carr, Robbie Corea, Linda Crider and a few others. The other newly designated Trail Towns are Everglades City and Inverness - all were well deserved and all the presentations were inspiring testimonials to what Florida towns are doing to become bike-friendly and encourage trails, and trail-oriented amenities and wellness programs. 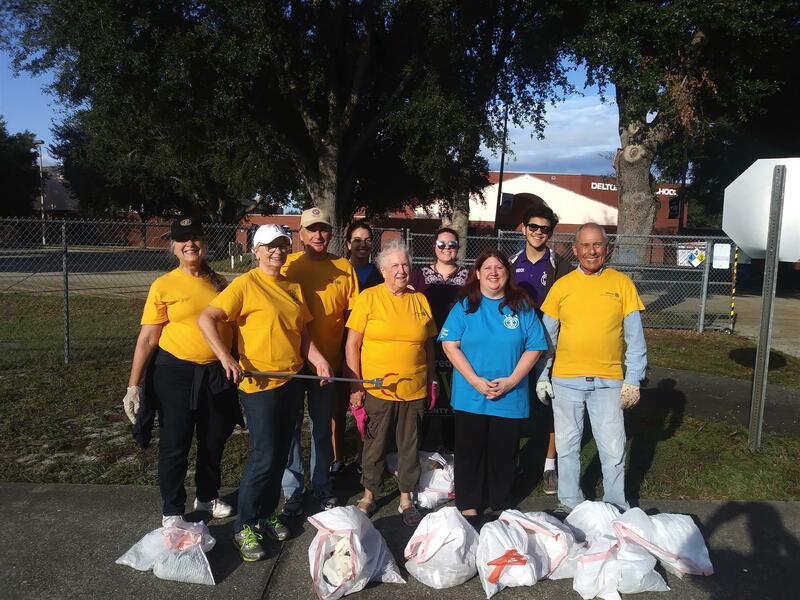 We are 63 clubs, one satellite club and 15 Rotaract clubs strong, serving 31 Northeast Florida communities in 12 counties with over 3,300 men and women. Together, we see a world where people unite and take action to create lasting change – across the globe, in our communities, and in ourselves. Photographs of students in Puerto Rico who received the special Student Dictionaries provided by the Rotary Club of DeLand with the assistance of District 697, and our Club. 100 boxes (2400 dictionaries) were provided to Rotary District 7000 last October. Below are pictures from the Aguada Club presenting the dictionaries. The Mayagüez Club in coordination with District 7000 has now distributed 95 of the 100 boxes. It’s official, 850k Trail dollars to connect DeBary to Blue Springs. I voted unanimously to approve this extension in 2017 and we had a lot of excited riders to partake today! Trail begins at DeBary Plantation and Donald E Smith. Congratulations to Club Member Darrin Elkind for a first place finish in his age division in the Lake Helen 5K Stress Buster! Friends, each week I am going to feature a program offered in District 5. Please allow me to introduce you to the “Florida Hospital Healthcare Academy at Pine Ridge.” Volusia County’s only “Certified Nursing Assistant” program newly designated by the Florida Dept. of Health. Here students explore healthcare careers at the hospital, in clinics, nursing homes & on fire trucks. The future of healthcare is bright. Today I wear your polo with great pride. Lucky Students get scholarships to spend one year in another country! 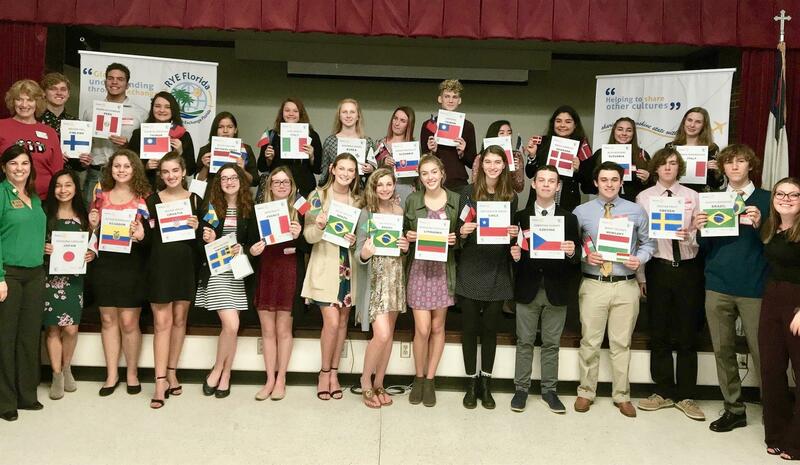 Congratulations to the 2019-2020 Outbound Rotary Youth Exchange Florida Students from Rotary District 6970! RYE students had "the big reveal" and found out what countries they're going to this week! Presley Baesler is going to Brazil, sponsored by the Rotary Club of Ponte Vedra Beach. Paola Camacho is going to Denmark, sponsored by the Rotary Club of Bartram Trail. Zuleyka Cardenas Zermeno is going to Taiwan, sponsored by the Rotary Club of Ponte Vedra Beach. Catalina Casillas is going to Japan, sponsored by the Rotary Club of St. Johns. Safi Chalfin-Smith is going to Chile, sponsored by the Rotary Club of Gainsville. Wyatt Delaney is going to Hungary, sponsored by the Rotary Club of St. Johns. Willem Hall is going to Finland, sponsored by the Rotary Club of St. Augustine. August Herrmann is going to Brazil, sponsored by the Rotary Club of Gainesville. Christian Hughes is going to Czechia, sponsored by the Rotary Club of St. Augustine. Joseph Hutchinson is going to Peru, sponsored by the Rotary Club of Mandarin. 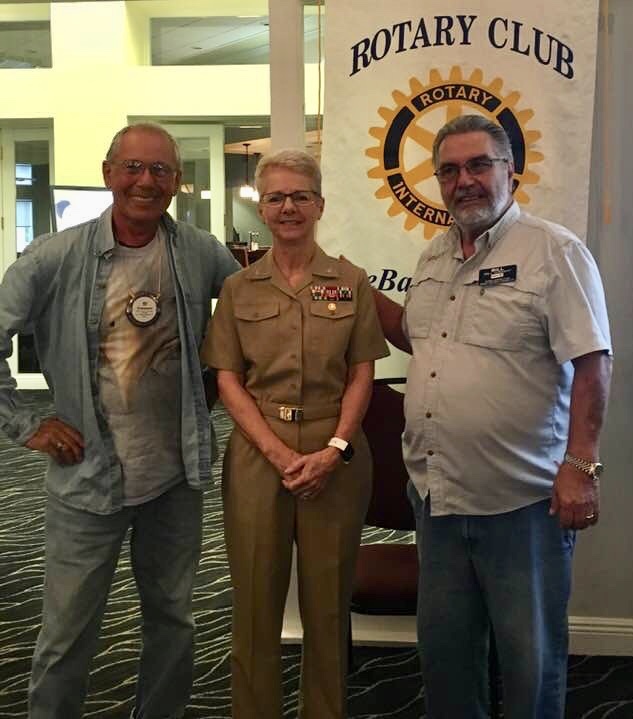 Kate Kelley is going to France, sponsored by the Rotary Club of Coastal St. Johns County. Amelia King is going to France, sponsored by the Rotary Club of Bartram Trail. Liam King is going to Taiwan, sponsored by the Rotary Club of St. Johns. Veronika Leshko is going to Korea, sponsored by the Rotary Club of Ponte Vedra. Mya McAfee is going to Sweden, sponsored by the Rotary Club of Gainesville. Marley McCauley is going to Slovakia, sponsored by the Rotary Club of Ponte Vedra Beach. Anne Mirgle is going to Italy, sponsored by the Rotary Club of Deland. Mia Mondello is going to Brazil, sponsored by the Rotary Club of St. Augustine Beach. Tristan Peevy is going to Sweden, sponsored by the Rotary Club of Amelia Island Sunrise. Morganne Percevault is going to Lithuania, sponsored by the Rotary Club of Ponte Vedra Beach Sunset. Aliya Riechers is going to Slovakia, sponsored by the Rotary Club of Gainesville. Alyssa Rodriguez is going to Ecuador, sponsored by the Rotary Club of Flagler County. 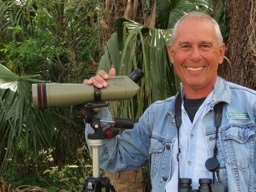 Marin Rohrbacher is going to Italy, sponsored by the Rotary Club of Flagler Beach. 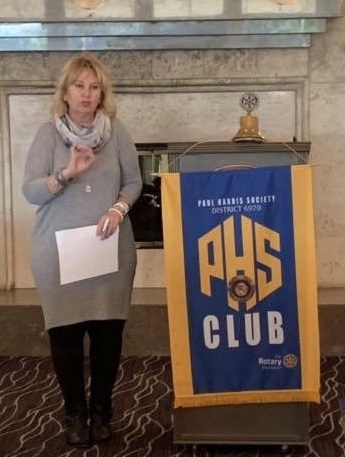 Aleida Wells is going to Croatia, sponsored by the Rotary Club of Gainesville. As I reflect on our accomplishments this year, I am thankful for donors like you who make it possible for The Rotary Foundation to empower Rotarians around the world to create meaningful change. Now, because of your support, Rotarians are hard at work transforming your gifts into service projects that improve the lives of people around the globe. Thank you for your dedication and support of The Rotary Foundation this year and in the future. Together, we can continue to inspire people around the world to make a difference. 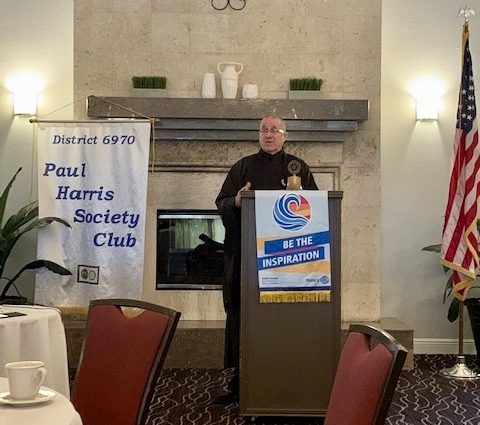 Club Member Klaus Diegritz presented a program on Hamburg, Germany, site of the 2019 Rotary International Convention. Dide Turut is our Incoming Rotary Exchange Student who will be here for one year. She gave an excellent presentation on her country Turkey. It's always a good meeting when you are visited by the next generation of leaders. We welcomed our RYLA students to our meeting and heard all about their leadership weekend. You know the world will be in good hands when they take over the reins of leadership. Do you know what RYLA is? Our Club paid for four students and Florida Hospital funded two more students. - Thank You Florida Hospital (Advent Health) -Fish Memorial. 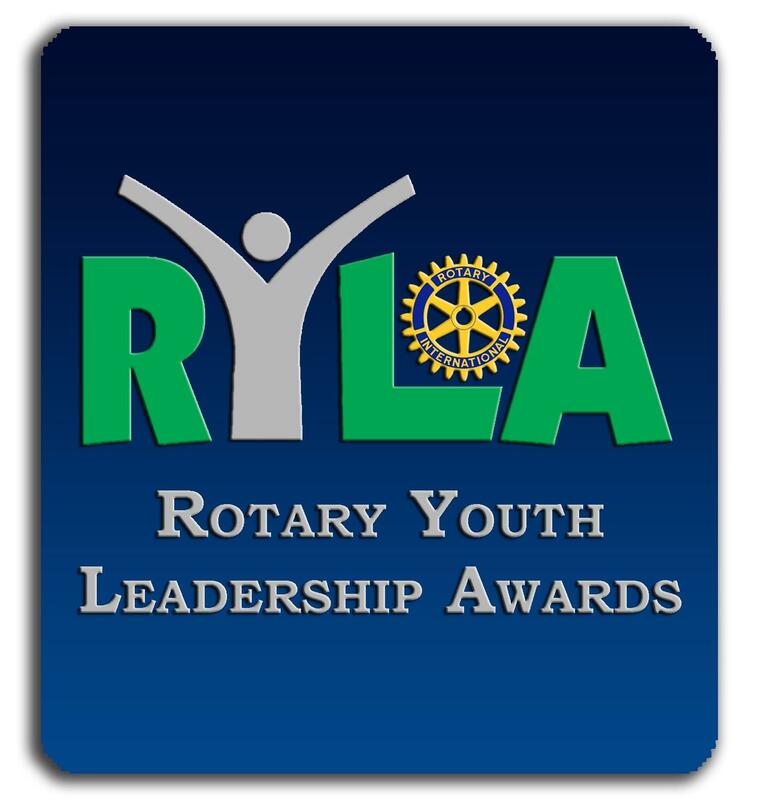 RYLA this year was on June 24 for three days at Stetson University. The students attended University High School, Deltona High School, Trinity Christian Academy, and Pine Ridge High School. Florida Hospital funded two more students who attended the Health Academy at Pine Ridge High School. Continue to give to The Rotary Foundation. Why? Click on Link below. 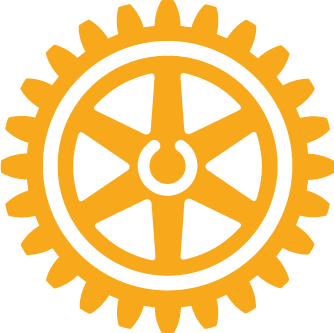 Why consider membership in this Rotary Club? Why consider membership in any Rotary Club? 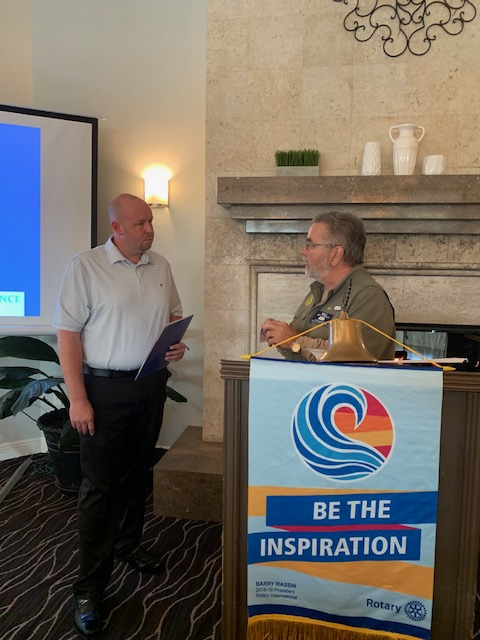 We invite you to become a member of The Rotary Club of DeBary-Deltona-Orange City if you live or work in these cities, or surroundings communities. 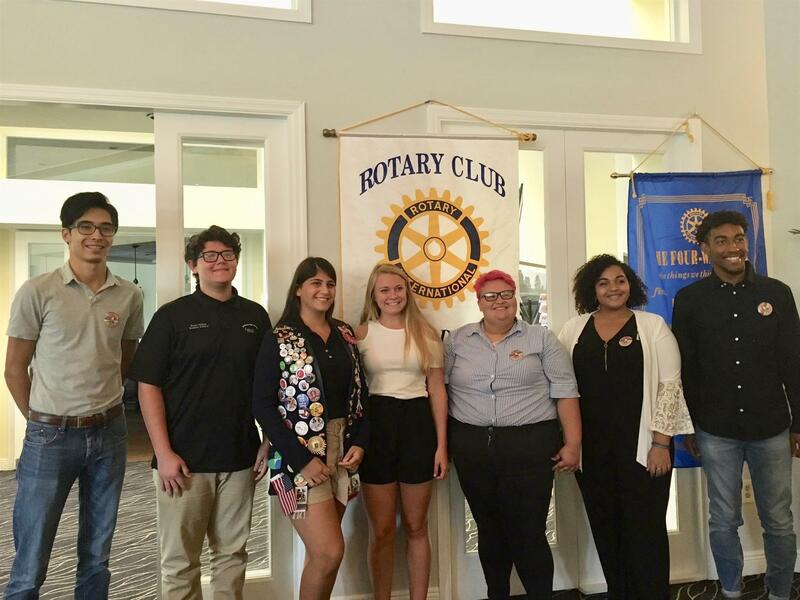 Besides supporting Rotary International's service projects and District 6970's service projects we have our own projects which benefit the students and residents of the Cities of DeBary, Deltona, and Orange City. You will meet great members in our club and make new, long-lasting friendships - and have fun! "You will have strength within you to go the distance." If you are interested in serving your community and meeting a great group of individuals, this is the service club to join! Membership is by invitation. Contact me or one of our members listed on this website. All you have to do is click on the name and you are able to send an email to the member. On Tuesdays we meet at 7:30 A.M. for breakfast. The meeting starts at 8:00 A.M.
Club Photos From The Past, which includes the early leaders who started this club and the Articles of Incorporation! You're In The News - History of the Club prior to 2008 - Click on picture to enlarge it so you can read the newspaper article. Bob Benedict's Trip To Washington, D.C.